I know that sounds a little odd… and well it was a little odd. I did not have any oranges, so substituted the orange juice for apple juice. Combine all ingredients together in a high speed blender until smooth. In a food processor – process together all ingredients, except the kale, until roughly chopped. 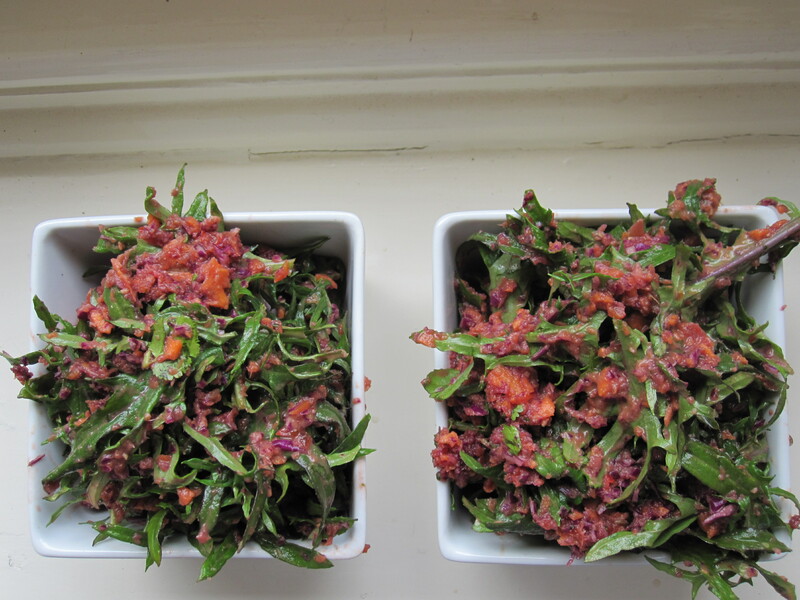 In a large bowl, place kale, 1/3 cup dressing and the chopped vegetables and combine until well coated and mixed.